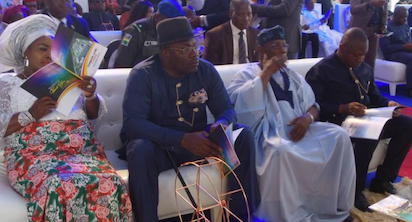 Former President of the FRN, Chief Dr. Olusegun Obasanjo, GCFR, today in Bayelsa state laid the foundation for the establishment of Azikel Refinery. The refinery is owned by Dr. Eruani Azibapu Godbless, an indigene of Bayelsa State. Also Obasanjo speaking with students of the Ijaw National Academy (INA) Kaiama in Bayelsa, on Friday said he would commit suicide if Nigeria loses hope. “If Nigeria does not have hope, I would find a rope and commit suicide immediately because then what am I living for? “I am an incurable optimist in Nigeria. Nigeria has hope. There are many things we should have done as we should have done them. There is no doubt about that. “But that does not mean Nigeria does not have hope. Look, hope is what drives any human being. A person without hope is like a person without life. 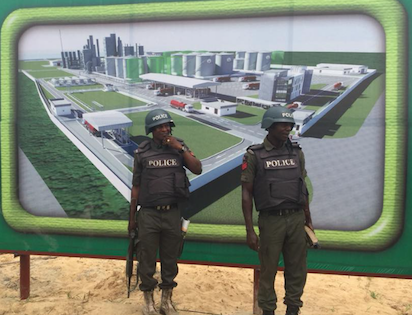 How can I therefore say that Nigeria has no hope? “Nigeria has hope and you are part of the hope of Nigeria. You asking me that question heightens my conviction that Nigeria has hope. “This country, in spite of our difficulties, we have hope. “I just came back from Rome and while there I asked the Ambassador what are his major problems and he told me that there are 1600 Nigerians in Italian prisons, that is a problem, but we shouldn’t because of that say that there is no hope for Nigeria. “No, I won’t say that. I would say that we have a problem that we have to address and if we don’t address that problem we are postponing the evil day. That doesn’t mean that Nigeria has no hope. 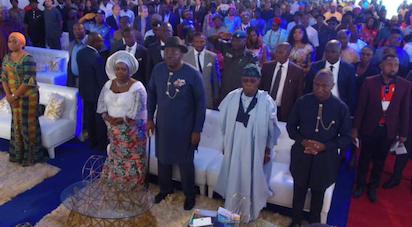 The post Photos: Obasanjo inaugurates Azikel refinery in Bayelsa appeared first on Vanguard News. Next Frustrated Lagos wife Accidentally Discovers NAFDAC Guaranteed Solution that FORCES Her Husband to Last 25minutes in bed, Cures Weak Erection and Increase Manhood Size… without viagra!